Tag Archive | "asus zenbook"
Today I’m pitting the Sony Vaio Duo 13 (third-gen Haswell Ultrabook) against the Asus UX31E (first-gen Sandybridge Ultrabook) in sleep and wake times. One of Intel’s goals for the Ultrabook platform was to eventually reach a point of instant-on, just like a tablet or smartphone, with Haswell, they’ve finally done it. 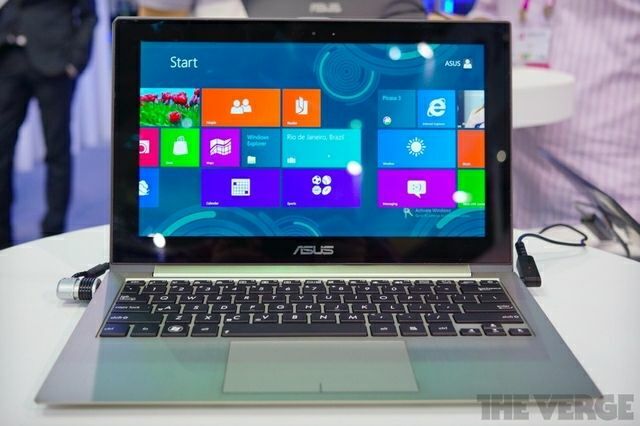 At Computex 2013 Haswell is of course the word on the show floor and Asus has another Ultrabook equipped with Intel’s new chip, this time their Zenbook Touch UX31 LA Ultrabook and Mobilegeeks has had a quick hands on with it. Here’s a chance for anyone 18+ in the US to win an Asus Zenbook. My Life Scoop is running a contest that can be entered through the 11th of December. The prizes are an Asus Zenbook Ultrabook and an iPad 3 which will go to two individual winners. Asus is launching new Zenbooks apparently in the hopes of appealing to everyone. 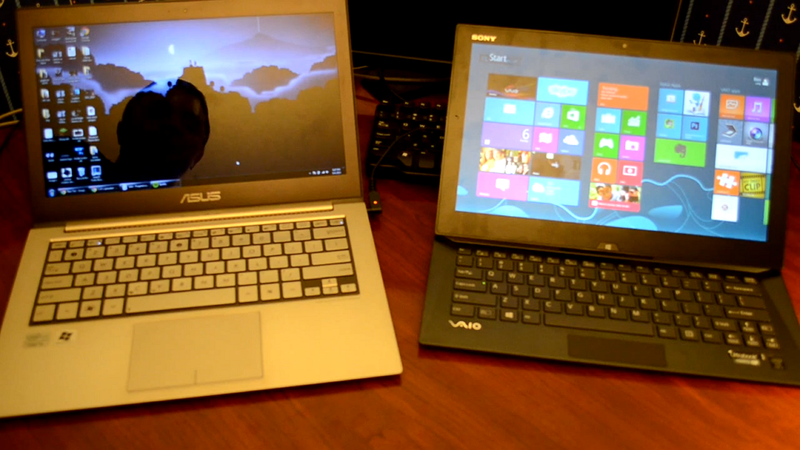 What once consisted of only Ultrabooks now features six devices, one of which is not an Ultrabook. 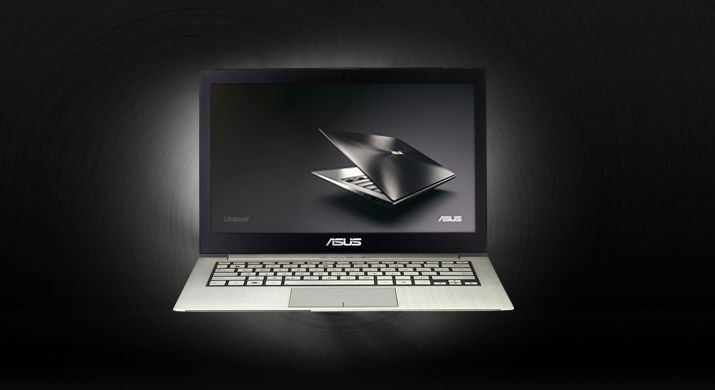 Most recently Asus has announced the UX42 and UX52. It looks like the company is keeping somewhat reasonable conventions though, devices prefixed with ‘UX’ all seem to be Ultrabooks while the lone ‘U’ device is a non-Ultrabook (even if it is still relatively thin and light). 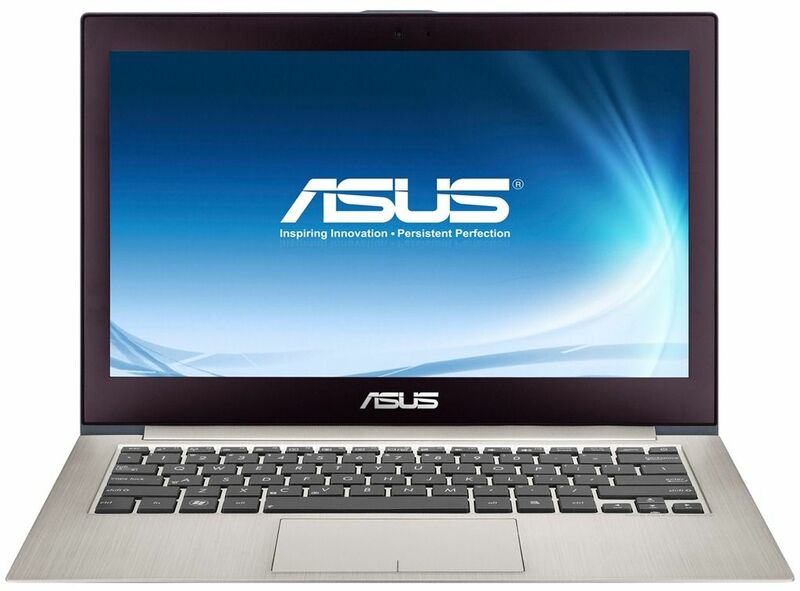 Asus UX51 / U500 Details in the Database; to Be or Not to Be an Ultrabook? Asus U500 details thus far revealed have been added to our database. There seems to be some confusion about whether or not the U500 is an Ultrabook. 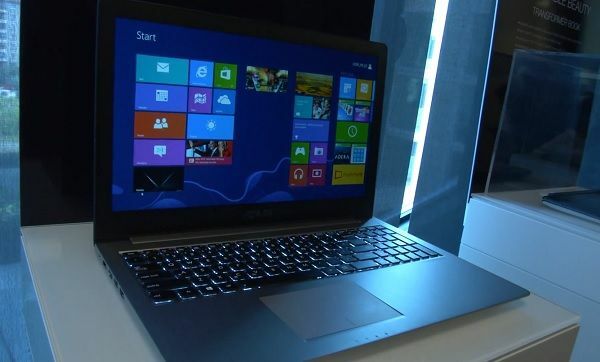 If the specs we’re seeing are accurate — a quad-core i7 ‘QM’ processor — it is definitely not an Ultrabook. However there seems to be quite a bit of confusion regarding that fact. 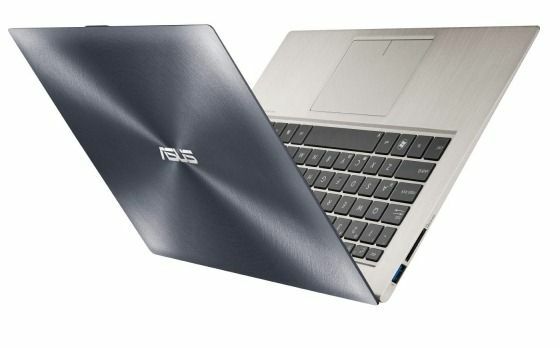 Just when you thought Asus had learned from its past experience with netbooks that launching a myriad of confusingly named devices was not helpful to consumers, they decide to do it all again with the Zenbook brand and the U500. 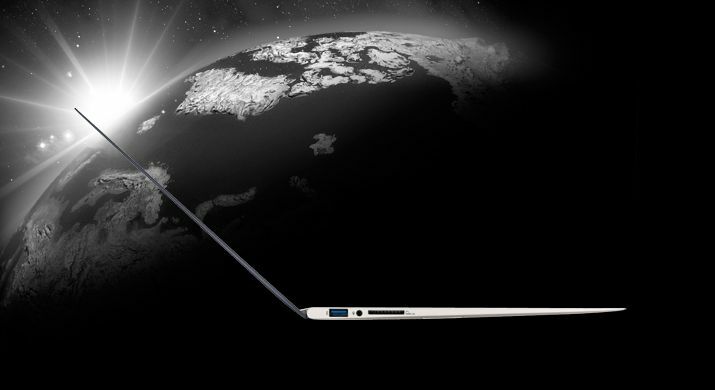 Up until now, the Zenbook line has shared two specific things; first, all Zenbooks featured a similar wedge shaped design and metalic finish. 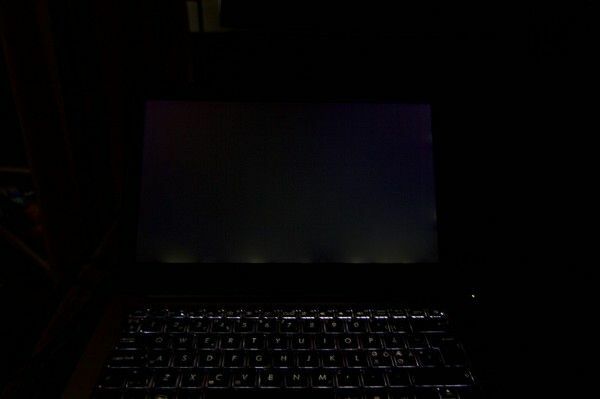 Second, all Zenbook’s were Ultrabooks. Until now, that is. 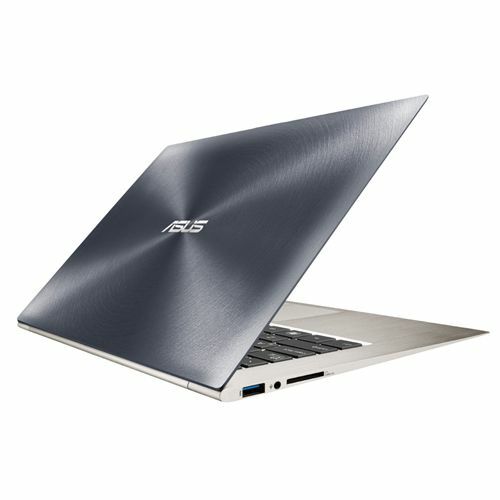 Asus has decided to throw the U500, a 15″ thin and light laptop, in with the rest of the Zenbook branded computers. While we would have preferred Asus didn’t dilute the shared features of the Zenbook brand, that’s not to say that the new U500 thin and light is not shaping up to be a solid Ultrabook alternative. 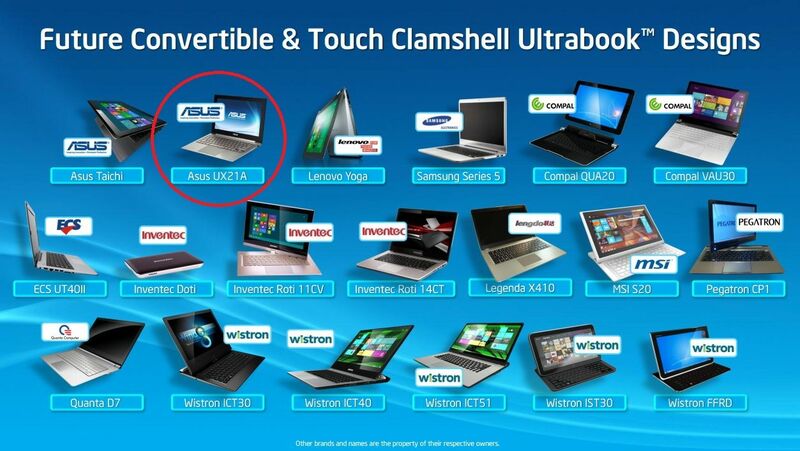 Recall the UX21A from Asus that we spotted on Intel’s slide in the touchscreen section? We got confirmation late last night that this was not a mistake, in fact Asus has it on display now at Computex. The Verge has a brief hands-on. Asus UX21A Coming With a Touchscreen? Update: Confirmed! During Intel’s Computex keynote, we caught something on one of their slides that everyone else seemed to overlook — the UX21A is listed in the touchscreen section. 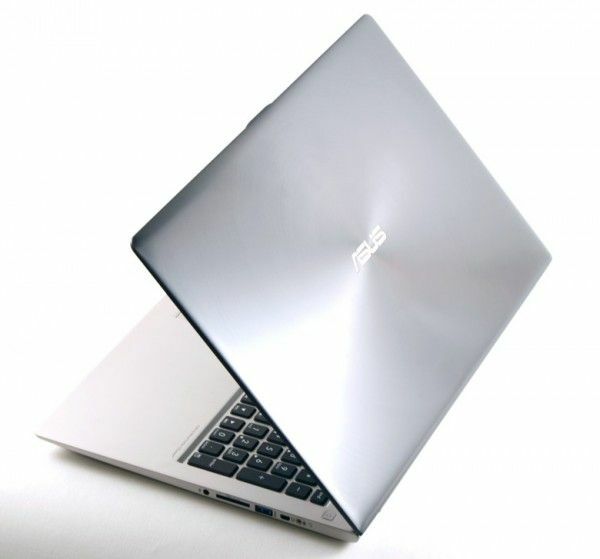 While it might be easy, thanks to a deluge of exciting new Ultrabooks, to forget about what many of us looking forward to just yesterday, Asus has finally put up official product pages for the Zenbook Prime UX21A and UX31A. We’re likely to see both of these next-generation Ultrabooks on sale in the very near future. The Zenbook microsite has been updated as well, and AnandTech has a teardown of the UX21A for anyone interested in the internals.